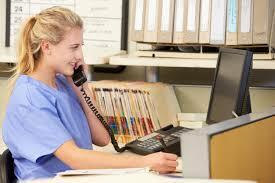 Nurse call systems have revolutionized communication in the health care industry, the world over. With the advent of wireless nurse call systems in South Africa, communication has spiked even more. By not being limited with wires, nurse call systems in South Africa have entered a new age. With wiring no longer posing an obstruction, being connected can happen on the go. On the patient side of things, nurse call buttons no longer have a permanent setting. 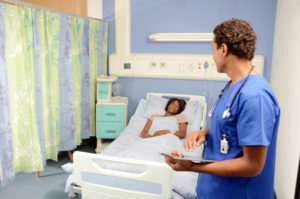 The button can be fixed onto the bed stand for easy access or carried around when patients are not confined to the bed. This allows for patients who rely on the help of nurses, when they are at their most in need, to be able to effortlessly ask for help. BellMe nurse call systems in South Africa are waterproof, making them perfect to be set in the bathroom as well. Patients might forget to take their own call button in and be stuck in a pickle on how to get the attention of nurses if an unfortunate circumstance were to arise. The BellMe nurse call system can also be attached to a lanyard, allowing patients to be able to go for a leisurely walk, yet be comforted that help is only a button away. For caregivers, call systems allow for immediate response to a query. With the BellMe nurse call systems in South Africa being wireless, wrist watches make for even more efficient care. Nurses no longer have to be at the main station to be able to know when help is required. Other than when rounds need to be done, nurses only need to check in when patients require it. This allocates them much more time to perform their various other duties. When looking for nurse call systems in South Africa, choose to go with a company with an outstanding reputation for quality, after sales service and cost. Fitting nurse call systems will sometimes be more than offering assistance but maybe even a matter of saving a life with a quick response, which is why you would want to choose the very best. BellMe offers quick and effortless installation of nurse call systems in South Africa, along with great aftercare. Where can one use Nurse Call Systems in South Africa? 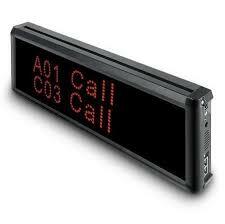 Nurse call systems in South Africa will be a vital addition into any medical environment. The following are a few examples. Hospitals- nurse call systems in South Africa have really made their mark in this sector, giving efficiency across the board. Better quality care is achieved through immediate attention. At a time when people are most in need of help because of various ailments or accidents, installing nurse call systems in hospitals makes for an easier time all round. With patients each having their own call button, it makes it much easier to ask for help, since it can be done discreetly. Day clinics, nursing homes or recovery centres need nurse call systems that are on the go. Patients here, are into their recovery process and this means starting to get by on their own, though still with direct access to medical staff. Wireless call buttons allow for these patients to be able to roam about freely and take in their leisurely walks by carrying it around with them. If they would need help getting back to their room, then a simple press on the call button would give them instant help. At Home use is widely becoming an angle for care, whether for a person in recovery or for old age care. The simple system from BellMe makes the installation of nurse call systems in South Africa, a breeze. This need no longer be a drawn out process of getting the wiring up and then hassling with the setup. Using wireless nurse call systems in South Africa for home use is most definitely the way to go. With power outages becoming a regular reality, it is nice to know that your nurse call system will not be affected. Patients requiring full time care in this environment will need not feel like a burden for a caregiver to be with them 24/7. They will only call on help when needed. The call button is the device given to the patient. This could be placed onto the bed stand, mounted onto a bathroom wall or placed on a lanyard and carried around. It cannot be said enough, of how valuable this product is in the medical environment. A patient’s call button can also be used by staff to request for back up help once they are in the room. This then eliminates the need to have to disrupt other patients in requesting help. The cancel button is to be used by staff once they have responded to the patient who had requested their help. It helps for management to be able to keep an eye on the staff’s response times. The wrist watch receivers are one of the newer nurse call systems in South Africa. 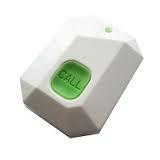 Since BellMe is all about wireless, we are able to offer this type of nurse call button. Medical staff members attach these onto their wrist and can be alerted to a patient’s query even when they are not at the nurse’s station. Display monitors have their place at the nurse’s station. The monitor will display the information of the patient who requires aid. This will be the room and bed number. It is a time saving factor in being able to go directly to the patient in need. Firstly, the nurse can proceed directly to the spot of the information relayed on the call screen and not waste time by first having to look around to see who is in need of assistance. Secondly, the patient can get their help within seconds of asking for it. The USB software system from the BellMe range of nurse call systems in South Africa has been designed so that management can review the response times of staff and take appropriate measures for improvement, if need be.